Movies are the best pastime for teenagers, even elderly people love spending their time watching movies. You never know what the storyline holds so you stick to the seats until the movie ends. I love action packed movies because life is full of drama and emotions so it feels good watching fantasy, sci-fi, comedy and adventure movies. Comic situations and fun elements always look appealing and eye catching. There is a great fervor seen in people for an upcoming and most awaited movie of this year, Teenage Mutant Ninja Turtles 2014. We all have been brought up watching Ninja Turtles and guess what the movie release on August 8th (2014) is giving us Goosebumps. I can’t wait for the movie. The story revolves around the four Ninja brothers who take the initiative against the evil forces that are prevailing in the New York City. The future looks impossible and totally troubled unless the appearance of the turtle brothers who gear up together to beat down Shredded and to dismiss his negative clan. 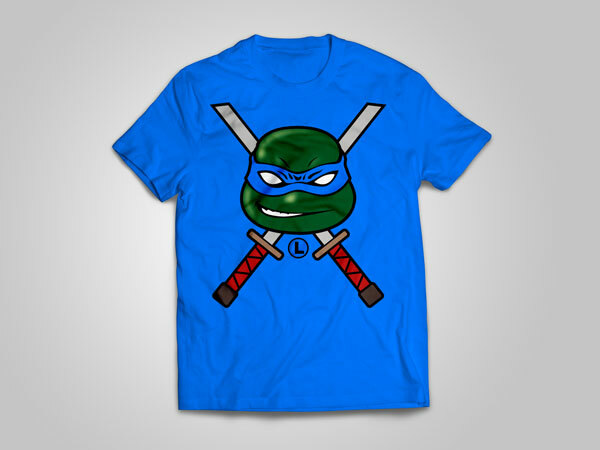 Today I am sharing free teenage mutant ninja turtles t-shirt designs for all the Ninja fans. 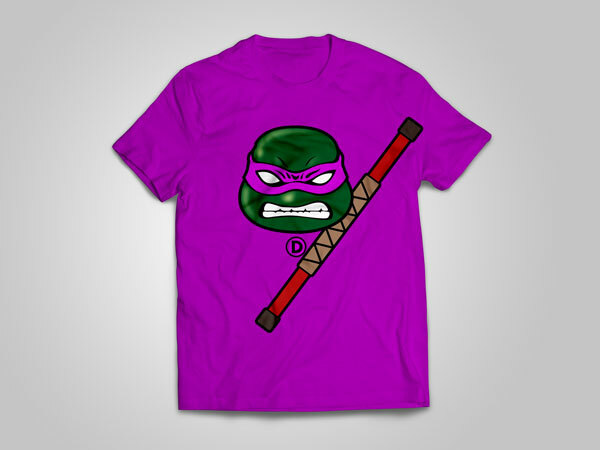 Feel like true heroic Ninja by wearing the t-shirt and you can also get them printed for your friends who are fans too. My best endeavors are always done to satiate your happiness and please my audiences with all what they seek on this blog. That’s why I try to bring you closer and make you up to date. 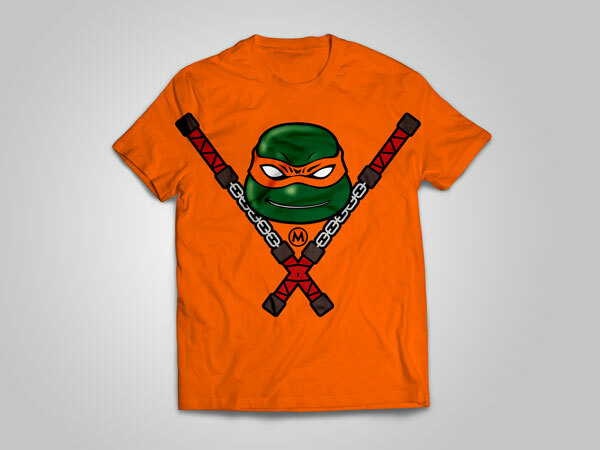 Scroll down to see the tees of Leonardo having his fierce weapon Katana Blades, Raphael having his ferocious weapon Sais, Michelangelo having his unruly weapon Nunchukus, and Donatello keeping Bo Staff. Orange, blue, red and purple colors are available. The tees look as awesome as if the Ninjas are originals ones and popping out. Without hiatus, get the glimpses, have the treat! You are strictly not allowed to use these t-shirt designs for redistribution.